As stewards of the land, our responsibly is to ensure that Napa County will be protected for future generations. Measure C is the culmination of the ecological and agricultural stewardship that our communities have been building for generations. Good things are hard to do. Imagine our effort to preserve the quality of life in Napa County as a three-legged stool. The Agricultural Preserve is the first leg. The Flood Control Project is the second leg. Measure C is third and final leg that completes our long-term agricultural, hospitality and environmental vision to make this the most beautiful and resourceful county in the region. Napa County voters use the power of the initiative effectively and responsibly. The Agricultural Preserve was a contentious battle that began in the 1950s and successfully designated protection for 32,000 acres. 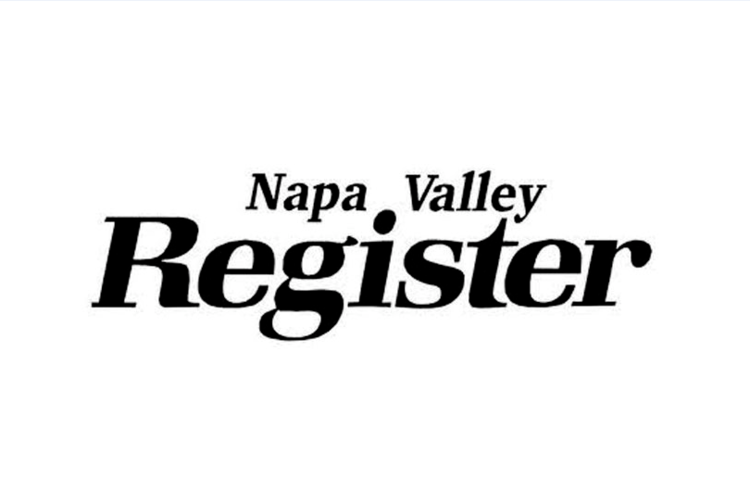 It is an historical victory that is praised as that singular fundamental win for Napa County. Yet the Agricultural Preserve only protects the valley floor. -- The City of Napa’s Rural Urban Limit that prevents or impedes the corrosive growth of city sprawl. -- Measure P, a citizen-initiated measure that gave widespread protection to Napa County’s agricultural lands through 2058. The second leg, Measure A - the Napa River Flood Management Initiative, protects the city of Napa from flooding and insures the city’s economic vitality and long-term business plan. The flood project gained international recognition for its design and commitment to protect our economy while preserving our environment. The impact of the flood project is restoring marshes and increasing habitat for a host of wildlife and fauna. The third leg, Measure C will protect our mountaintops, significant natural resources, vital woodlands, groundwater, watersheds and wildlife habitat. Measure C will help preserve our water supplies from the Vaca across to the Mayacamus Mountains, from Calistoga to American Canyon, from Sonoma to Yolo. This doesn’t just protect one industry. It insures and supports all of Napa County. Measure C offers broad protection of our ecological resources that protects our agricultural and tourist industry. Our river and watershed is impaired from mercury, pollutants from agricultural and urban sources. We have serious failures of wastewater treatment plants, and our city’s potable water is being polluted from fertilizer runoff. The people must direct the county government to take the steps necessary. Measure C will protect water quality. Measure C does not prevent or ban vineyard development in the Ag Watershed Open Space. It does not prevent the removal of fire-damaged oaks or trees deemed a threat to a home by the county. It does not protect coniferous forests, which the state controls. The initiative allows removal of diseased/dead or potentially harmful trees to structures. Critically, Measure C will protect the wildlife by maintaining vital contiguous borders with a density required to sustain life. Our wildlife requires our protective laws and science to thrive. Wildlife cannot live on the edge, nor can they vote or speak for themselves. Protecting the oaks protects all species that live within the woodland. From the mountaintop to the valley floor, watersheds are the lifeblood of our ecosystem. A biologist said, “We must think like a watershed in order to understand it and how it sustains life.” Trout and salmon require healthy woodlands surrounding the creeks to survive and spawn. Our agricultural lands require healthy watersheds to restore aquifers, fill reservoirs and wells. Measure C responds to problems of today and the needs of our future. Measure C promotes the long-term health of our agricultural community while protecting our watersheds, woodlands and wildlife from extinction. Science clearly tells us what we must do now. Newly elected leaders need to be reminded of our historical decisions and that trying to silence the public is never in their favor. Unfortunately, our elected have failed to act and our environment is in crisis. They believe they can be indifferent, moderate, and/or delay by calling for more studies. Delaying is not an option. We have never won an environmental or civil justice battle without committed action. We cannot have a viable future without the long-term vision of Measure C.
Turn on your tap water if you want a selfish reason to vote for Measure C. Measure C supports our future and stabilizes our present. This is the only earth we have. It is imperative that we act and put the third leg on the stool. As stewards of the land, it is our responsibility to look after our resources for the sake of the children, the wildlife and the economic well-being. Say Yes for Watersheds, Woodland and Wildlife. Yes on Measure C.